I just don’t know what has taken me so long to get to one of his books I pleased The IFFP longlist gave me the nudge to try him Aharon Apppelfeld is an Israeli writer ,he was born in Romania and spent time in the concentration camp in Romania with his father which he never saw again after they arrive ,he then moved to Palestine after the world war two was over and then to the state of Israeli when it was founded .He is well-known for using his war experiences as a diving board to explore the holocaust and not maybe his own tale but the effect of the holocaust and afterwards how the people involved returned to normal life .He is also a great admired in the Jewish writing community ,the writer Philip Roth used him as a character in one of his novels and said of him he is a displaced writer writing displaced fiction . For a long time Hugo stands still ,wondering about the nature of this Roomy place.Finally he sums it up for himself :it’s not a beauty Parlour .There isn’t a broad bed in the middle of a beauty Parlour . Young Hugo arrives at the brothel to be put in the care of Mariana . As the war moves on Hugo is a boy who quickly grows to the edge of manhood Mariana when she leaves him in another women’s care at the brothel .He has to escapes capture,finds Mariana and comes to rescue her from the bottle as she has started drinking heavily .I know some of the judges have struggle with the dynamics of this relationship but I feel it is natural you spend time with someone in such circumstances it ends people care and Hugo is such a gentle chap and Mariana is the classic tart with a heart that needs a knight in shining armour and that turns out in the end to be Hugo. A form of Stockholm syndrome (not Helsinki as some people say ).This is a new take on a holocaust story A boy hidden I m reminded a bit of the german film Europa Europe the story of a boy who spent the war pretending to be german not Jewish and had relationships along the way ,this is part love story ,part coming of age .Like Anne franks diary it shows that love can be a strong tie what ever the circumstance .Aharon has shown why he considered one of the foremost Hebrew writers .Jeffrey M green translated it he has a number of major Hebrew writers you can see here . 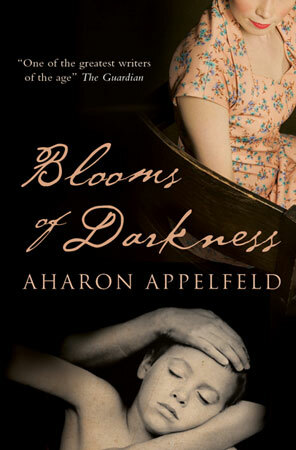 Have you read Appelfeld ? What’s your favourite Hebrew writer ? I have one of his books on this year’s Literature and War readalong list. I’m very interested to read him. I tried reading this, but I don’t think I was in the mood for it. I did skim-read it though and I agree with what you say about the relationship between Hugo and Mariana. It wasn’t prurient, it was more like two people comforting each other. I might try and read it properly some time, now that I know a bit about the author’s background, thanks to your post.